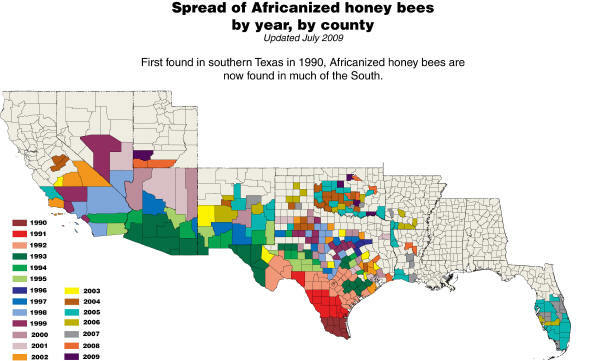 The first introduction of the Africanized Honey Bee into the U.S. occurred in the fall of 1990 in south Texas. This bee, a hybrid from the African honey bee queens that originally escaped from a researcher in Brazil in 1957, had been moving northward slowly for several years as the bees swarmed and absconded. Africanized Honey Bees (AHB) will reflect these behavioral traits more often and more readily than the European Honey Bee (EHB). 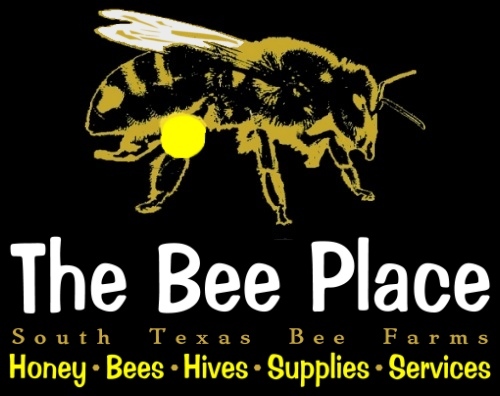 Texas Apiary Inspection had an aggressive approach to monitoring and regulating commercial honey bee movement in an attempt to slow the spread of AHB in the state. Natural migration of the bees proceeded until by August of 2006, AHB had been detected in 163 of the 254 counties in Texas. The most important thing people need to realize is the fact that the AHB is just a slightly different honey bee. AHB looks the same, only being microscopically smaller than the EHB. The venom is the same. The behavior can differ. Patrol area before mowing or yard work. Colonies can move during the day while you are at work.